Benoit Jacquot's "Farewell, My Queen" - an absorbing take on Marie Antoinette on the eve of revolution, as seen through the eyes of one of her servants. QUICK TAKE: A spectacular, anarchistic, expensive comedy in which Spielberg rewrites history, using the post-Pearl Harbor hysteria on America's west coast as an excuse to bundle actual events such as a Japanese submarine shelling offshore Santa Barbara, the 'Great Los Angeles Air Raid' and the Zoot Suit riots in LA into visual mayhem. Critics hated it. Now regarded as having many redeeming features. QUICK TAKE: Not quite as original or as daring as its director would have you believe - it is based on a tele-movie and also indebted to Richard Fleischer's Mandingo (a much more daring take on slavery) - but a fascinating watch because of its unque subject: a free black man who was then reduced to slavery. Suffers from McQueen's habitual lack of nuance and his customary self-righteous attitude. QUICK TAKE: A lavish but uneven look at the Versailles Court of Marie Antoinette during the infamous Affair of the Queen's Necklace a few years before the French revolution. 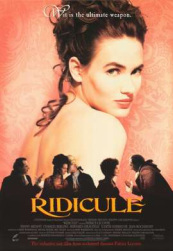 Hilary Swank is miscast as the aristocratic con-artist, but JOely Richardson oputs on a sparking turn as Marie Antoinette - frivolous but cunning. Added zest is provided by Christopher Walken and Adrian Brody enjoying the chance to over-act. 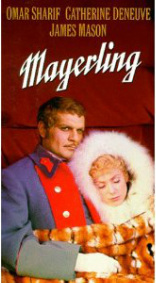 Outstanding production values: the color photography, costumes and settings have all justifiably been praised. 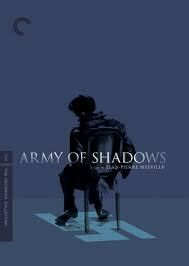 Made forty years after the seminal Army of Shadows, this fine movie acknowledges Melville's masterpiece not only in its title but in its depiction of the Resistance as splintered and in danger of betrayal from within and without. However, Army of Crime is based on the activities of an actual group and an actual event. It is virtually unique in the Resistance movie genre in that it is concerned with the work of 'foreign' anti-fascists living in France, many of them Jews - Armenians, Poles, Spaniards, Italians. The movie shows the indifference and even downright hostility of many French to the Resistance and details how the groups downfall was primarily due to the work of French authorities, not the Germans. 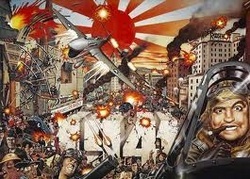 Has some masterly set pieces of urban violence, sometimes mixed with ironic black humor. QUICK TAKE: Vilified when first released in 1969 for daring to suggest that the French Resistance was honeycombed with traitors and ignored or unsupported by most of the population, this bleak combination of film noir and war movie is now widely regarded as one of the greatest French movies of the post-1945 era, and the finest movie about the Resistance and France under Nazi Occupation. Acting, direction and photography are of the highest calibre. QUICK TAKE: A black and white semi-silent comedy about Hollywood's transition from silent movies to sound. Some clever visual set-ups and some great sound gags, but the second half tries too hard for Chaplinesque pathos when it needs the pace and edge of Keaton or Mack Sennett. The leads have charm and talent but the plot and the humour become increasingly predictable. Essentially derivative, the movie's Uggy the dog is lifted straight from the 2007 Australian movie Dr Plonk, and its visual and comic style owes much to the comedies of Pierre Étaix and Jacques Tati, but lacks their comic crispness and sense of pace. 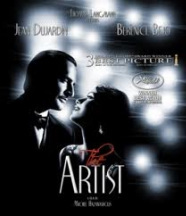 The Suitors' themes of ascending and descending movie careers and the silent/sound revolution are based on two Hollywood classics, Sunset Boulevard and Singin' in the Rain. QUICK TAKE: The first post-war French movie that examines the role of the French Resistance movement and the attitude of French people towards the German occupation of France during the war. Semi-documentary in style and episodic in structure, this started this prize-winning film started the career of Clément, once regarded as one of the greatest of twentieth century French directors but whose work sadly became unfashionable after the 1960s. Battle of the Rails has become a pivotal text for historians of Occupation-era France, for it depicts a nation and a Resistance movement united against the Nazis, undivided by political and class divisions, untouched by deceit and betrayal from within. All these features have recently been rejected by revisionist historians. QUICK TAKE: One of the best films ever made about teachers and schools, and essential viewing for an understanding of American society in the 1950s, especially the issues of race relations and so-called 'juvenile delinquency'. A 'problem' movie that is not only thought-provoking but also entertaining. Also significant for its musical soundtrack which launched 'Rock Around the Clock' and for the performance of Sidney Poitier, which helped him become the first African-Amercian Hollywood star. 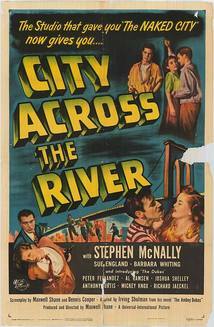 QUICK TAKE: Although spoilt by a clumsy flashback narrative imposed upon Cukor's original scheme, this is a first-rate movie. 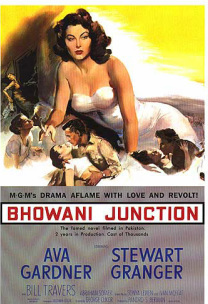 It combines a momentous historical setting (India on the eve of independence), colorful location backgrounds (Lahore standing in for a big Indian city), great crowd scenes,glowing cinematography (Freddie Young) a tense climax and a sympathetic investigation into sexual and racial prejudice, and the difficulties faced by those on the perimeter of society - in this case, Ava Gardner as an Anglo-Indian woman, an outsider in both the Indian and British worlds. This is probably Gardner's best performance on screen. QUICK TAKE: Possibly the best of the Carry On series. A very well made, boisterous and politically incorrect satire on imperialism, English dining habits, social pretensions and Scottish kilts.Some of the best Britain's post-war comedians are on display here. QUICK TAKE: A witty, vicious black comedy about the CIA, a corrupt Congressman, a socialite, stinger missiles and the Soviet-Afghan war. And the problems with unintended and disastrous consequences of actions that seem to be advantageous at the time. Smart, clever, with great performances, a fine script and meticulous direction. 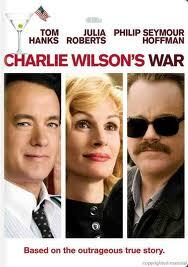 Hanks, Hoffman and Roberts have never been better: their comic timing and subtle interaction is a joy to watch. QUICK TAKE: This movie about juvenile delinquency has sunk into undeserved obscurity. 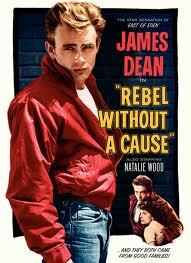 Not only is a tautly directed and well-written film in its own right; its influence can be seen (unacknowledged) in two of the 1950s era best-known films on troubled youth: Blackboard Jungle and Rebel Without a Cause. Maxwell Shane's movie is a convincing look at the causes of juvenile crime, focusing on slum life in Brooklyn and how one working-class family is tragically affected. The film's examination of parental responsibility is considerably more sophisticated than that displayed in Rebel Without a Cause, and its handling of the theme of delinquency in schools was uplifted by Blackboard Jungle. Heartily recommended. QUICK TAKE: A blockbuster movie based on comic-book characters would seem to have little connection with history. Yet this final film in Nolan's remarkable Batman trilogy can best be appreciated by understanding how its plot and themes area take on the French revolution as filtered through the sensibilities of Charles Dickens' great novel about that epochal event - A Tale of Two Cities.Dickens' themes of heroism, sacrifice and resurrection, guilt and justice are examined in a stunning new context that incorporates a cinematic version of Two Cities remarkable deployment of crowd scenes as integral parts of the plot. QUICK TAKE: One of the most unusual films produced by the Merchant-Ivory team and one of their least successful at the box-office. A strange combination of adventure story about British India in the 1820s combined with a psychological thriller about cultural identity. To top this off, glossy production values were combined with a violent plot about the campaign to wipe out the Thuggees in India. Starring Pierce Brosnan before he became James Bond. IN SHORT: Its predecessor Rock Around the Clock has gained all the publicity and cemented its place as an American cultural icon, but this hastily-made follow-up is worth seeking out by fans of 1950s rock 'n' roll and those interested in the social and cultural history of that era. 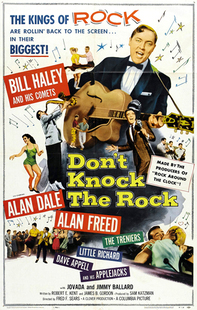 The movie has some fine examples of rock 'n' roll dancing, and some enjoyable (though lip-synched) musical numbers by Bill Haley, Little Richard and the Treniers,.as well as Alan Freed in an important role. It contains interesting insights into the outlook of teenagers and parents at the time. Instead of depicting generational differences as a war-zone, this movie advocates mutual tolerance and understanding. And Don't Knock also goes out of its way to highlight the significant role that black performers had in these early stages of rock 'n' roll. It also has something to say about the commercialization of the music. Well worth a watch. QUICK TAKE: Set over the course of fours days at the court of Versailles dureing the onset of the French revolution, this film provides a new perspective on Marie Antoinette and the royal court. The events are seen through the eyes of the Queen's personal reader, one of the many servants who tend to the royal needs. This provides an interesting 'Upstairs-Downstairs' portrayal of people and events. 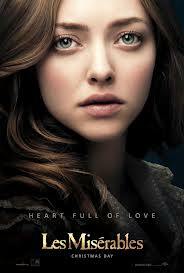 Magnificent photography, settings and costumes add value. Diane Kruger provided a nuanced portrait of Marie Antoinette. Considerably more subtle and ironic in its approach than Sofia Coppola's Marie Antoinette. QUICK TAKE: Paul McCartney claims this is the best rock 'n' roll movier ever made. He's right. 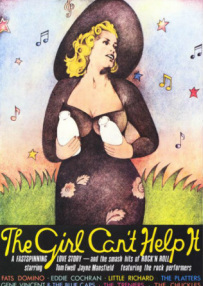 A vicious satire on the music industry with surrealistic vidual sequences, magnificent photography and settings, great musical routines, raucous comedy and some of the 1950s' best rock artists.Incredibly influential - among other things,it played a role in John Lennon and McCartney getting together. Great sequences with Fats Domino, Little Richard, Eddie Cochran, Gene Vincent, the Platters, the Treniers and Abbey Lincoln. 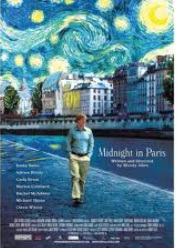 Before Baz Lurmann's 2013 version of Scott Fitzgerald's novel, there were three previous movies. 1926's silent version - now lost. 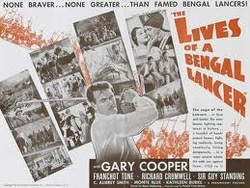 1949 version with Alan Ladd as Gatsby. 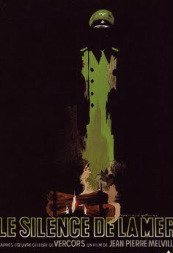 Luhrmann has appropriated several key aspects of this film, namely its emphasis on Gatsby's background in crime and Ladd playing Gatsby as a film noir hero, a man of inner integrity and steely resolve but unable to overcome a fatal obsession with a woman who will betray him in the end. 1974 version starring Robert Redford as a boring, inert Gatsby and Mia Farrow giving one of the most annoying performances ever put on film. QUICK TAKE: One of the classics of Hollywood's 'Golden Era'. It's still an enjoyable movie, with likeable characters and a pleasing mix of action and comedy. See this movie and you'll see where Spielberg got his inspiration for Indiana Jones. QUICK TAKE: Lavish biopic by Philip Kaufman (The Incredible Lightness of Being) about Ernest Hemingway and his third wife, Martha Gellhorn, focusing on the intense literary rivalry between two manipulative and self-regarding writers, the forerunners of today's Brangelina-type media darlings. 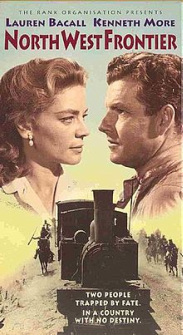 The movie sets their tempestuous relationship against an interesting background of international affairs, 1936-1944, especially the Spanish civil war. QUICK TAKE: A social comedy, and a sequel of sorts to The King's Speech. In 1939, while King George VI was still working with speech therapist Lionel Logue, the monarch and wife Queen Elizabeth made the first ever visit by a ruling British monarch to America. President Roosevelt invited the royal couple to a weekend at his Hyde Park estate for political and diplomatic reasons. Intertwined with this historical strand is a largely fictional account of how the weekend was a turning-point in the president's "affair" with a distant cousin, Margaret Suckley. QUICK TAKE: Based on actual events, this is a fascinating look at Stalin and members of his inner circle (especially Beria) seen through the perspective of one of his admirers, the man who acted as the projectionist for the movie-mad tyrant. Much of the film's considerable tension and power comes from the contrast between the projectionist and his (fictional) wife: he wilfully ignores the evil that Stalin represents and encourages, while his wife has a clear-eyed understanding of that evil and ultimately become another of its victims. Much of the grimness of this situation is cleverly offset by the movie's portrayal of Stalin as, superficially, a rather likeable, intelligent and capable man . QUICK TAKE: Slow-moving by modern standards, but true to the spirit if not the plot of Kipling's novel. The lively and intelligent performances of its two stars remain its main attractions today, plus some good location shooting. Also interesting because of its reliance on the 'Great Game' scenario, which is treated without any irony. 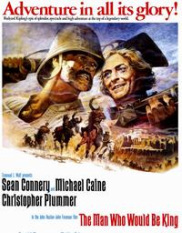 QUICK TAKE: Essentially a 'cavalry eastern', distinguished by several good action sequences, great music and colour photography, and interesting and for the time unconventional attitudes towards imperialism and the treatment of 'native' and mixed races. QUICK TAKE: Spielberg's daring attempt to define Lincoln by restricting the film's scope to the last few months of his presidency, in which Lincoln used a mixture of wit, force, bribery, morality and pragmatism to persuade the House of Representatives to agree to a constitutional amendment outlawing slavery. This is essentially a film about that most difficult of subjects, the nature of the political process. Spielberg uses it to illuminate the nature of Lincoln and his greatness. QUICK TAKE: Another 'cavalry eastern'. 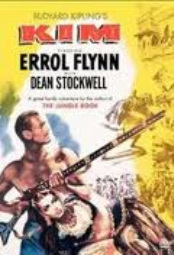 Its attitudes towards imperialism, the 'white man's burden' and native races are naive by today's standards,but the film itself is 'golden Hollywood' at its best with excellent action sequences, some interesting digressions about honor and loyalty and interesting characters. This movie deservedly made a star out of Gary Cooper and its influences can be seen in Spielberg's action films.Its director, Henry Hathaway, went on to become one of Hollywood's best -but most neglected - maker of westerns, film noir and action movies. QUICK TAKE: Reviled by critics on original release as racist, lurid and exploitative, Fleischer's savage take on slavery and its horrific effects is now increasingly regarded as a remarkable and daring movie about race in America. Admired by Tarantino, and referenced heavily by him in Django Unchained. Obviously a major if unacknowledged influence on Steve McQueen's 12 Years a Slave, and makes that movie look timid and patronising by comparison. QUICK TAKE: One of Huston's best films. Not only an excellent adventure story set in exotic locales and involving interesting characters , but an insightful study of greed, pride and obsession. 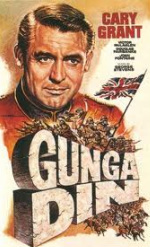 Also features Sean Connery and Michael Caine at their best. IN SHORT: Sofia Coppola uses the late eighteenth century court of Marie Antoinette and Louis XVI to comment on celebrity culture in the modern era. But does the film endorse the values of this culture or condemn them? 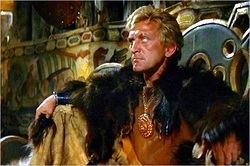 IN SHORT: An example of MGM Studios' lavish production values applied to historical epic. Its considerable box office and critical success relied on the film's ability to combine grand social scale and intimate family detail, along with a satisfying story arc, fast pacing. It also benefits from being firmly placed within the wider context of the French revolution. IN SHORT:A ponderous and unconvincing remake of the mush superior 1936 movie.The two leads are ineffective, and the story is confused. The best that can be said is that some of the settings are nice to look at. An attempt to cash in on the current popularity of the David Lean-style Dr Zhivago costume epic. IN SHORT: a fast-moving version of Stagecoach set in British India at the turn of the 20th Century.Literate script, good acting, great photography and a surprisingly thoughtful examination of issues such as racial prejudice, Muslim-Hindu conflict and imperialism. 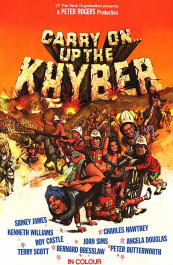 Years ahead of its time, and obviously a model for some scenes in Lawrence of Arabia and Gandhi. 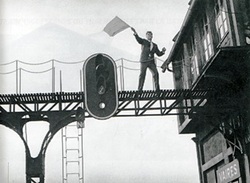 IN SHORT: One of the first French films about the Resistance movement. Made just after Bataille du rail by that movie's director René Clément, this is a comedy-drama about an apparently mild father whose harmless persona conceals his identity as a Resistance leader. 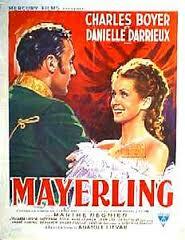 In this film, his family represents France, bravely struggling against the German occupiers. 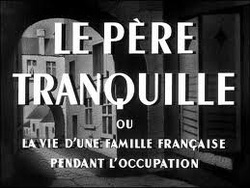 The movie is a template for the Gaullist version of the French response to Occupation: united in a determination to overcome the reviled invaders. IN SHORT: A tremendous critical and popular success, largely due to the performance of the recently deceased James Dean, Rebel is hardly the daring and innovatory film that its admirers claim. 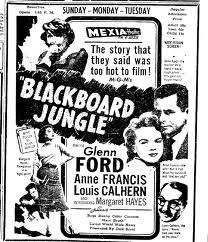 Compared with Blackboard Jungle and some earlier films in the 'juvenile delinquency' cycle that began in the late 1940s, the film opts for a cursory explanation of youthful angst as the result of middle-class family dysfunction. Instead of locating juvenile delinquency in the context of socio-economic deprivation, the movie plays it safe and focuses on an affluent suburban family with mom-and-pop issues. However, there is no denying the impact and influence of this movie. IN SHORT: A superb satire on the poisonous effects of aristocratic rivalries at the court of Louis XVI, with the rivals for power and wealth using cunning, wit and invective to advance their political and social agendas. A fascinating contrast between the false values of the court and the humane and progressive values of a minority within the aristocracy. 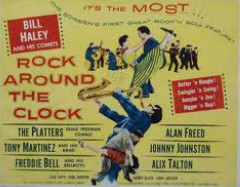 IN SHORT:As Variety's original review put it: "76 minutes of foot-patting entertainment".Rock Around the Clock may have been a B-Movie, but it remains one of the most influential musicals ever made. Its cultural influences were enormous. IN SHORT: Melville's first feature film, already revealing the director's fascination with matters of personal integrity and loyalty. A movie about the sweeping issues of war and resistance to evil, yet most of it occurs within one house, one key character speaks mainly in monologue, and the resistance is non-violent. 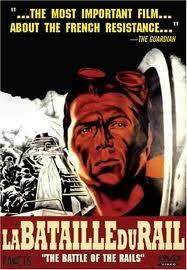 IN SHORT: One of the best war / action films ever made, and also one of the very best about the Resistance. The tense and terse scenes of action and suspense, fascinating characters and the ingenious plot are deftly overlaid with insights into the nature of war and the relative values of human life versus the need to preserve great art. IN SHORT: one of the great action movies, violent for its time, yet with a swaggering humor and a sweep that suits its subject-matter. Great cast at their charismatic best and magnificent location photography . Thrilling battle scenes, with a climactic duel that makes the one in Princess Bride appear tame. 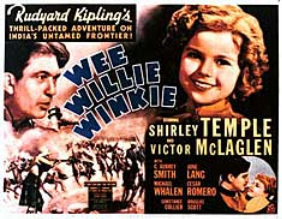 IN SHORT: A major hit at the time, and usually regarded by critics as Shirley Temple's best movie. 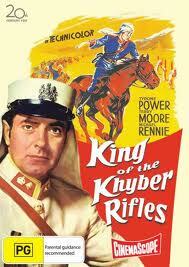 Basically a cavalry 'eastern', with some typical John Ford flourishes and a fine performance from McLaglen. IN SHORT: A massive critical and box-office flop at the time. 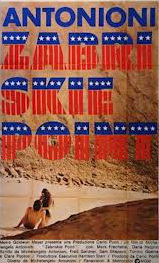 This deeply flawed movie was meant to provide meaningful insights into the world of the American counterculture in the late 1960s, to attack American capitalism and to act as a cinematic manifesto for youthful revolutionary aspirations. Instead, Antonioni's patronising and lazy film is significant only for its reiteration of his favourite themes of alienation and ennui, and for revealing the trite, self-regarding and ineffectual character of aspects of the counterculture.